This build is for both personal and work use and the performance is well rounded for everything I do. I create content for social media accounts (short videos, time lapses, photo editing). I also work part-time as a web developer, working on making that my full-time gig. Lastly, as you can probably guess from the build itself, I also game a bit (BF1, LOL, Cities Skylines). This build has been somewhat of a dream for a while, ever since selling my older mini-itx rig (not on my PcPartPicker account yet) in 2016 I have been itching to move back to a glorious desktop experience. So using the money from my older build, some savings and my office allowance I have finally had the chance to build this beautiful beast! I am using my existing Razer Deathadder mouse and CMStorm 10-keyless mx-blue keyboard. The next addition to this system will be HDDs, I want to get 2 4TB drives and run them in raid 0. After that, I will probably add more ram. When I first built I found out the hard way that my GPU would not fit the case so I ended up swapping my Air240 for the Define Mini C TG case which then required me to switch my EVGA G2 for a EVGA GEFORCE due to length problems. So far so good! I definitely didn't get a great overclocker but it performs well enough. 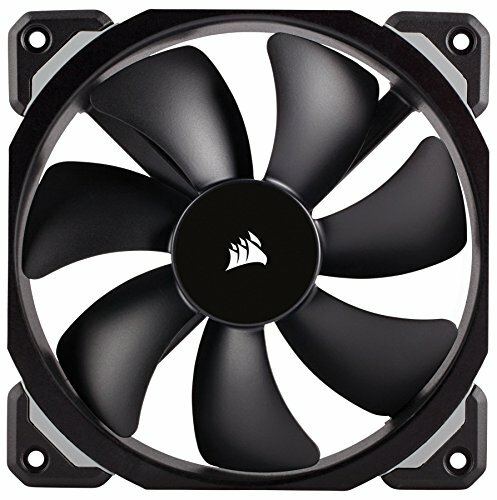 I am keeping it at 3.6ghz until I upgrade my cooling. The fan is nice, a little loud but not bad. My largest gripe is the software to change RGB LED on the fan; it basically does not work, you have to randomly select colors until you get the one you want (they don't match the selection). Lots of features and a good size, if only Ryzen had SLI micro-atx boards. RGB software is super buggy. Can't get ram to full 3200mhz and an interview board button for resets would have been nice. Looks crazy good! I can't get it to 3200mhz though, not sure if it's the ram, motherboard or a Ryzen thing. The software is terrible, absolutely terrible. Seems fast, probability overkill for gaming builds but video editing is a dream! I love not having to worry about cables too! An absolute beautiful case. Great to build in and makes cable management super easy! The only problem is that with the motherboard I used, and the position of the case cable gromets the USB 3 header is extremely tight and has alot of stress on it due to the bend and placements. Oh, you'll definitely want a short PSU if you want to use the HDD bays, I used an EVGA G3 and it fits great. I was blown away with the packaging and cables provided. Definitely a teir 1 product! Looks amazing, if only you could get IPS with 1ms response time. Very minimal light bleed, and I found one stuck pixel. I may look into RMA if it hasn't gone through Asus's new inspections already. I still don't know if it was worth the price tag, for $850-900 it would be an even sweeter monitor. 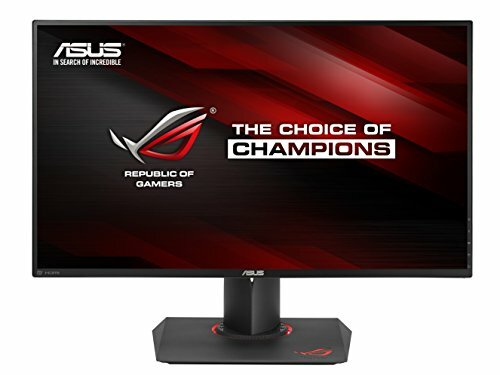 -- Update -- Asus support ensured me that I could exchange the monitor and that the support case they started would void me having to pay the restocking fee at Canada Computers. So I packed it all up and when I brought it in they would do nothing for me. I was very adamantly assured by Asus support that I would have no problem. Awesome looking build, but please fix those cables on the floor, cable management gives you 20 percent FPS boost in games. Just kidding, but still, do it. And I see that Air240 case, it's my personal favourite case, you got great taste. Thanks! I ended up swapping the Air240 for the Define C Mini TG due to GPU size issues, both beautiful cases. Going to pull the desk out to fix the wall and cables up soon! How much fps does the dog "mod" add? Jk, awesome build! Nice build you did! Yeah, your ram problem probably is a Ryzen thing until updated BIOSs come out or you play with the settings. My 3200 ram only goes to 3000, but don't think I'd really notice a difference anyways. Thanks! I have updates bios so hopefully next update solved it I have it somewhere around 29xx something right now. Great build! 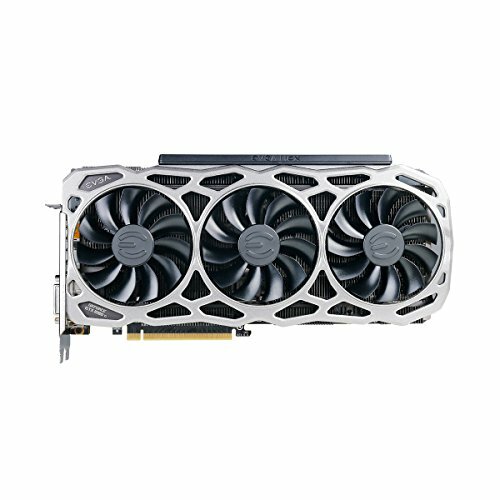 I have the same case 240, but the white version, I was very picky about the graphics card I had chosen, I think it took me almost a month to finally decide on a good one that I thought would fit properly before purchasing it. Yeah I didn't reach properly and found out the hard way that my GPU wasn't going to fit the Air240, ended up using Define Mini C TG. 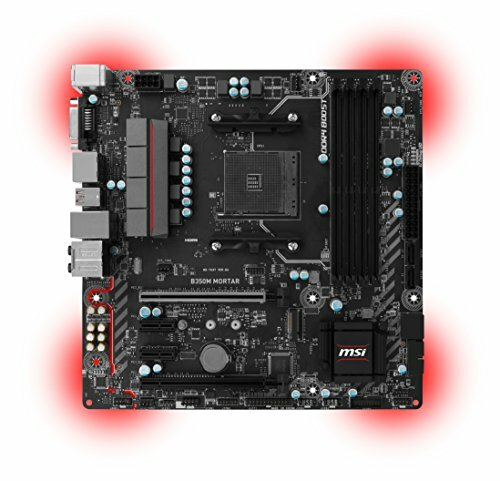 I have a Ryzen build in a closed Mini C. I'm buying the Tempered Glass version right now - it looks awesome!! Where was this a few months ago?? I know it was a saving grace after I found out that my original Air240 wasn't going to work out! 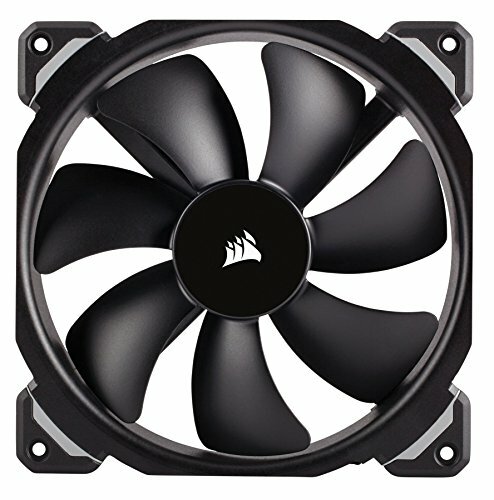 I like it even better, I just wish they had a micro-atx version of their new Meshify case. Update your BIOS to the latest version (with AGESA 1.0.0.6a). That should solve your RAM speed problems. Alright, I think I have the latest bios already but I'll double check. 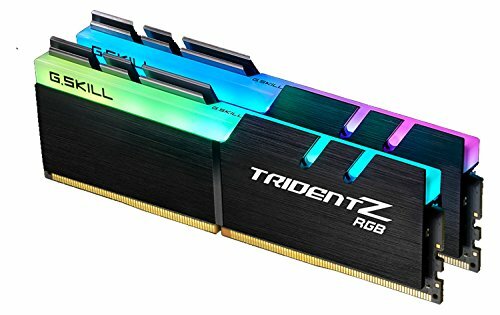 I got my ram close to 3000 so it's not terrible. Thanks for the advice! Yeah, the SK Hynix DRAM dies on the 3200MHz CL15/16 TridentZ kits have a much harder time getting past 2933MHz than the Samsung B.die that the CL14 kits use. I have the same sticks as you (3200MHz, CL15) in the 32GB kit (16GBx2) and 2933MHz CL14 is the best I've been able to get so far. A lot of that is because the 16GB DIMM's are dual-rank. The 8GB DIMM's like yours are single-rank iirc, which people have gotten to run at the rated 3200MHz, but it's still not a for sure thing at this point. With how fast things have improved (I couldn't get past 2133MHz at launch) I'm sure it's only a matter of time before we'll be able to get that last little bit if it turns out that like me, you can't at the moment. Threadripper/X399 has got up to 3600MHz running no problem, so I'm sure easy and consistent 3200MHz isn't too far out for Ryzen AM4. Wow, thanks for explaining all that! I hope things are sorted out eventually but for now 28-29xx htz is pretty good. Oh duh hits forehead, try raising your VSOC voltage by like +.025V (should be a dynamic offset, so 1.125V total,), and if that doesn't work then +.033V. (This is completely safe, you just aren't supposed to go past 1.2V but for heat/safety's sake +.05V is the most I'd ever do). That helps DRAMATICALLY with memory compatibility/stability. Wouldn't be surprised at all if you hit 3200MHz no problem after doing that. At worst, if you still can't hit 3200MHz, with like +.025-33V you should be able to tighten your timings at 2933MHz a bit, which helps make up some of the gap. I just used the Gskill software. Wasn't aware that was an issue. Got me worried now! Your tears are felt my friend. Even with the exchange I debated buying US but that didn't happen. Everything came from Canada Computers. Yeah, I was said that I didn't get to use the Air240 but the Define Mini C has beautiful glass so that's good.